Includes Friday free historic hotel tour, Saturday CME Session, Saturday Welcome Reception, 3 full breakfasts Sun-Tues AM, Session coffee breaks, CME certificate of attendance and Tuesday awards dinner. Accompanying family members or guests 18 years or older attending with FPA member. EARLY BIRD REGISTRATION. Includes all activities. No CME credits. Additional family members and guests 5-17 y/o accompanying member and also registering for the meeting. Includes activities. No CME credit. INCLUDES Friday afternoon historic hotel tour, Saturday afternoon CME Session, Saturday Welcome Reception, 3 full breakfasts (Sun-Tues), Session coffee breaks, CME session Sun-Tues AM, CME Certificate and Tuesday PM Awards Dinner. Single Member accompanying family or guest 18 years and older. Includes Friday historic hotel tour, full breakfasts, Welcome Reception, Awards Dinner. No CME. PKG B - Single member registration for Family Member/Partner or guest 5-17 y/o. Includes social activities, breakfasts. No CME. Member only registration for full registration package (B). No accompanying spouse/partner or guest or children. INCLUDES Friday afternoon tour of historic hotel, Saturday CME Session, Saturday Welcome Reception, Sunday-Tuesday Full Breakfasts, CME Sessions and coffee breaks, CME Certificate, Tuesday evening Awards Dinner. PKG C - Attendee only for CME General Sessions only. 2/2-5/31 FEE: Includes full breakfast on Sunday-Tuesday mornings, coffee breaks for Saturday afternoon and Sunday-Tuesday mornings, and CME Certificate. NO social activities included in package. Pkg D: Saturday CME Session for one person only. Saturday Welcome Reception and other social activities are NOT included. CME certificate for Saturday only. Pkg D: Sunday CME Session for one person only. Breakfast and coffee break included. Saturday Welcome Reception and other social activities are NOT included. CME certificate for Sunday only. Pkg D: Monday CME Session for one person only. Breakfast and Coffee Break included. CME certificate for Monday only. Pkg D: Tuesday CME Session for one person only. Breakfast and coffee break included. CME certificate for Tuesday only. Tuesday evening Awards Dinner NOT included. "So much to see and to do! It's more than one can accomplish in four days -- we wouldn't miss it! The kids will love it." 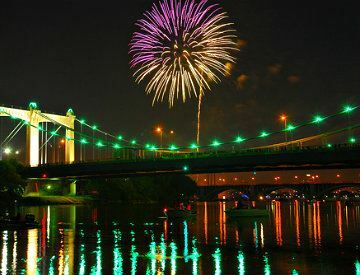 Come early or stay late and Discover Minneapolis! 2:30 pm Free to all, tour of historic hotel, "The Depot", led by knowledgeable hotel staffer. Offered only once. Jessica Cox's life is a celebration of determination, commitment, and total dedication to living every day to its fullest. Her presentation ending the Awards Celebration will inspire, motivate and encourage. Born without arms, Jessica pushed the limits and moved the bar higher in every activity. Her amazing story combined with her passion for flying is the ideal ending to the 62nd Annual Meeting. Please contact Renaissance Reservations at (612) 375-1700 or 866-211-4611 and ask for The Flying Physicians Association Block to get the group rate of $135.00 for a Standard King or Queen/Queen Room. REGISTRATION for the meeting opens on January 1, 2016. Special tours and activities will be announced in the FLYING PHYSICIAN MAGAZINE, delivered by mail to you in January. Register in January for the Early Bird discounts! Accommodations are booked before mid-January at this popular retreat on Lake Superior. Arrive: Wednesday, July 6, 2016 Departure by individual choice. It is recommended that you call Madeline Island to book accommodations before registering for the Fly-Out.